Francis Talken graduated from Durham High in 1956, after an active four years that included playing sports, acting in school plays, singing in the chorus and holding student body offices. 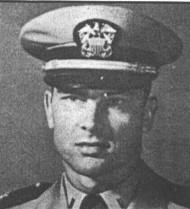 After two years at Chico State College, Talken in 1958 enlisted in the U.S.Navy. He was honorman of his recruit company, and two years later jumped to officer status and earned his flying wings. Talken had made a previous tour of Vietnam in 1967 and flown 84 bombing missions. On Aug. 2, 1969, on the 94th mission of his second tour, Francis Talken was returning from a bombing run over Laos to the carrier USS Kitty Hawk, stationed in the Tonkin Gulf. Air controllers put him in a holding pattern before his approach and tracked him as he flew into a radar blind spot 17 miles from the ship. His aircraft never emerged. His body was never recovered.